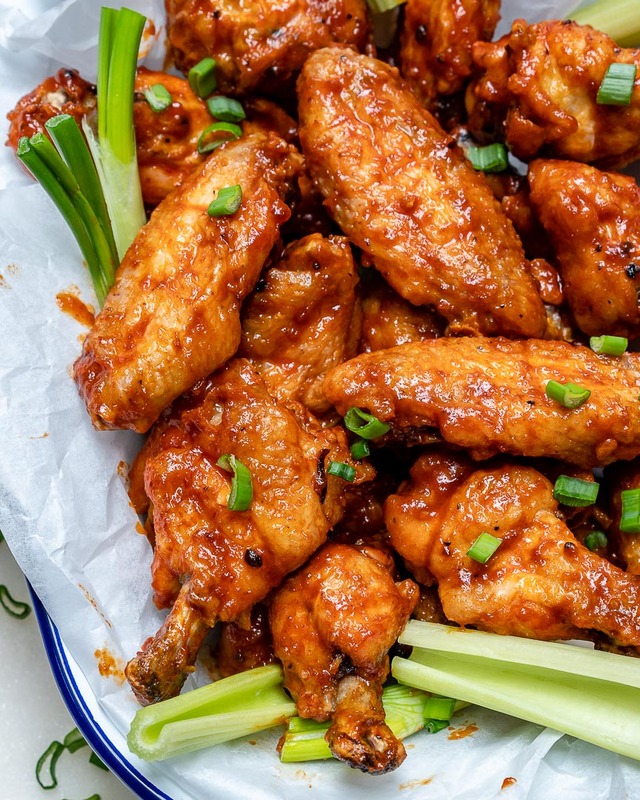 These Healthy Homemade Baked Buffalo Wings are Everyone’s Fav! 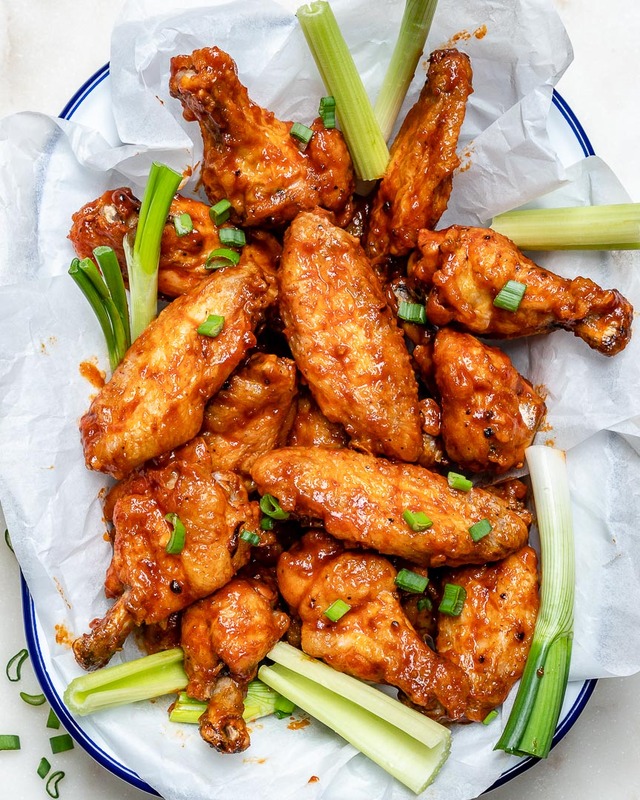 Buffalo wings REALLY seem to make everyone HAPPY, and if they have a few friends over, these wings are a TOTAL crowd-pleaser! 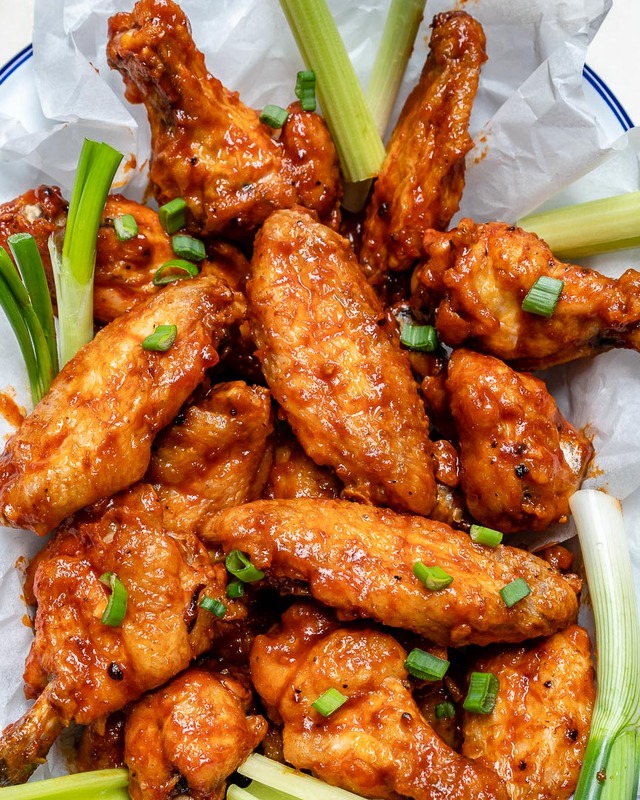 Serving Ideas: celery sticks, sliced green onions, chopped parsley, ranch dip, Greek yogurt, etc. 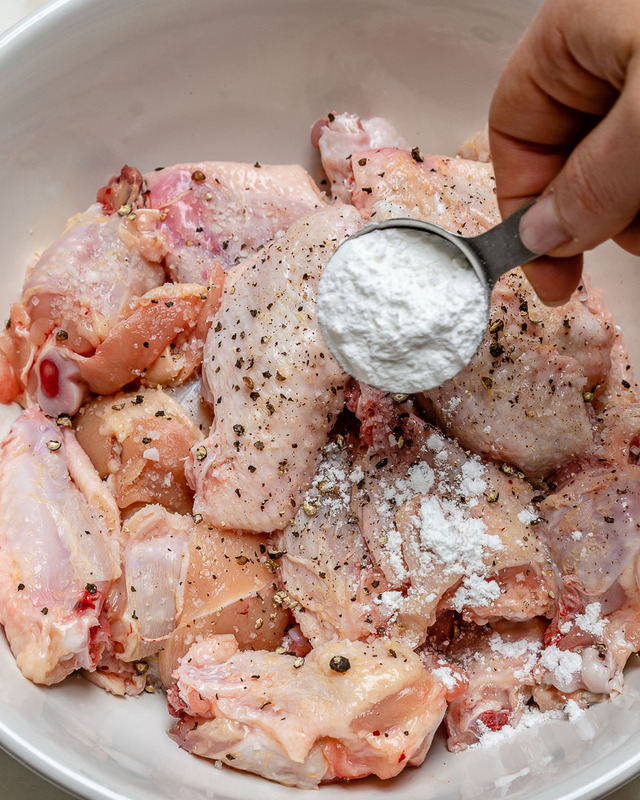 Preheat your oven to 350 degrees f. Place chicken wings in a large bowl and sprinkle evenly with baking powder, sea salt, and pepper. Using your hands give it a good toss to get all pieces nicely coated. 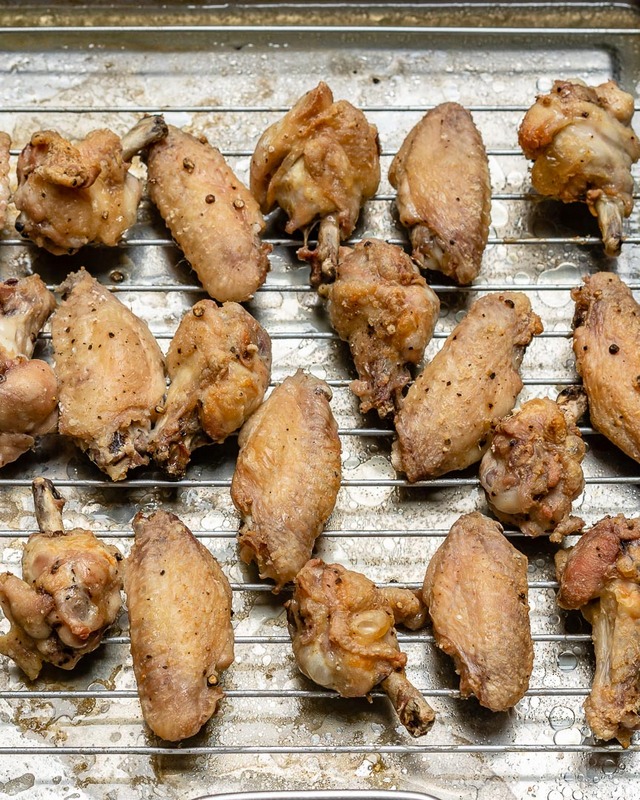 Place chicken wings on roasting tray, making sure you leave a bit of space in between each one – this will help them to get crispier while roasting. Roast in your preheated oven for about 40-45 minutes. Check after about 30 minutes, and flip them onto their other side. In a small saucepan, add all sauce ingredients, whisk and simmer over low heat, stirring occasionally. 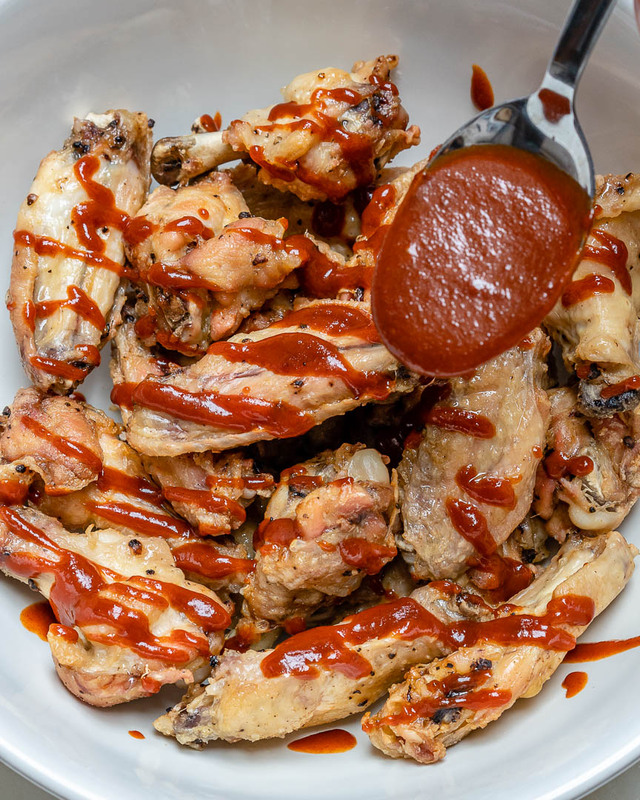 Once the chicken wings are cooked through to the middle and crispy on the outside, place them in a large bowl and drizzle with your sauce mixture. 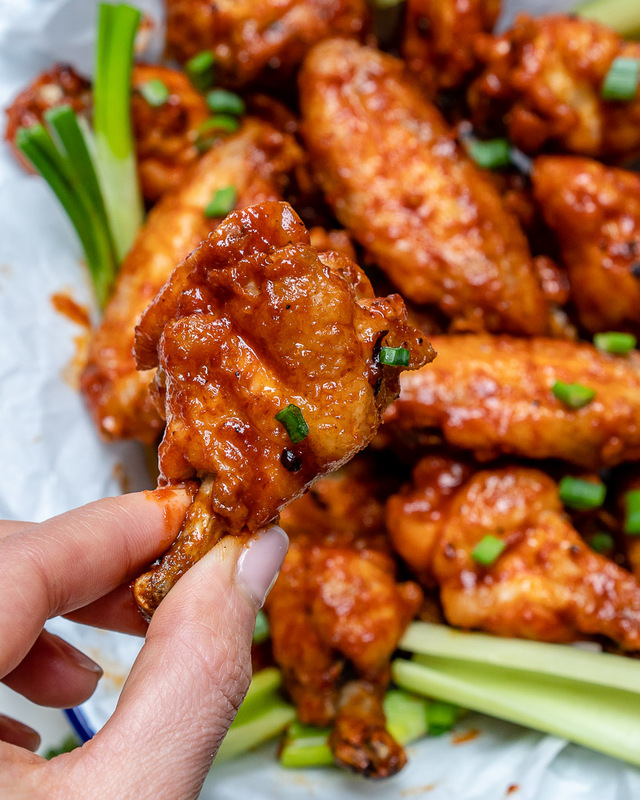 Gently, and carefully toss to coat (they are hot!). Serve with our serving ideas and toppings of choice. ENJOY! Remember to tag me @CleanFoodCrush in your creations! 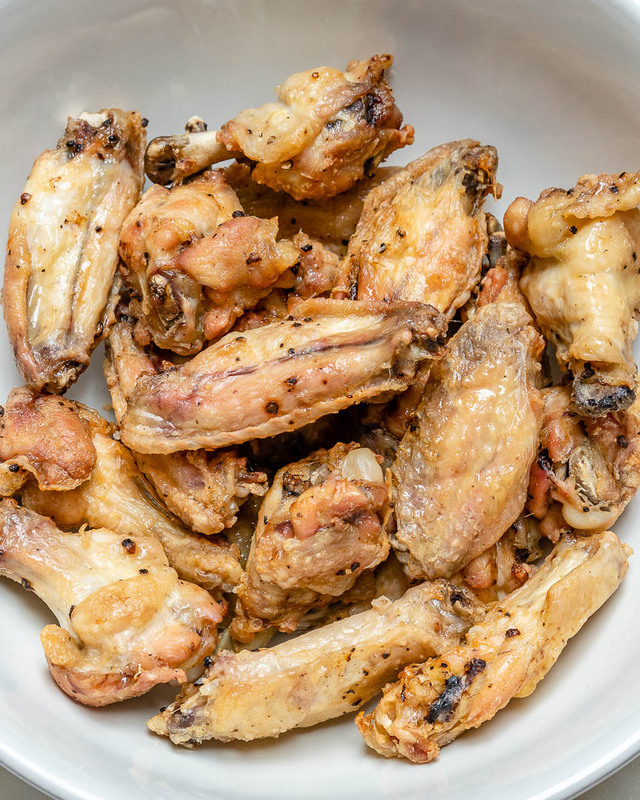 Place chicken wings in a large bowl and sprinkle evenly with baking powder, sea salt and pepper. Using your hands give it a good toss to get all pieces nicely coated. 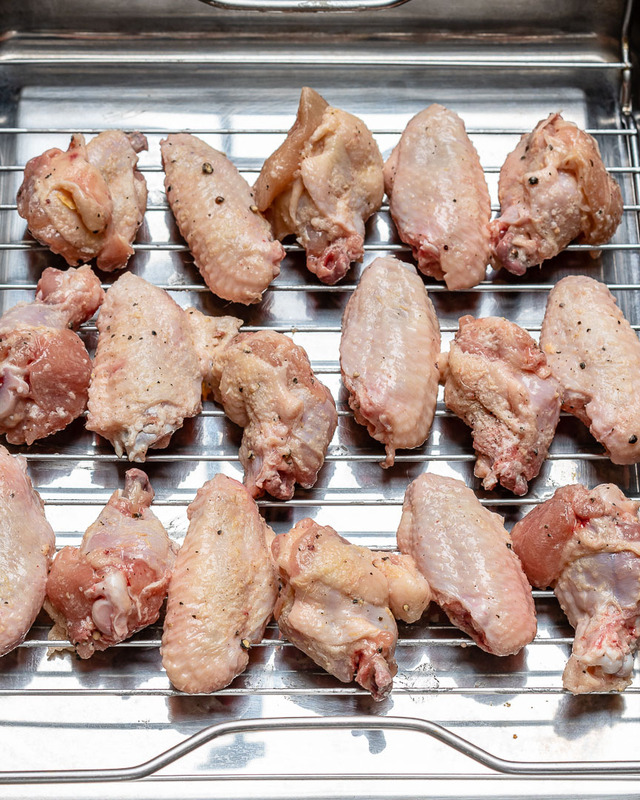 Place chicken wings on roasting tray, making sure you leave a bit of space in between each one - this will help them to get crispier while roasting. Roast in your preheated oven for about 40-45 minutes. Check after about 30 minutes, and flip them onto their other side. In a small saucepan, add all sauce ingredients, whisk and simmer over low heat, stirring occasionally. 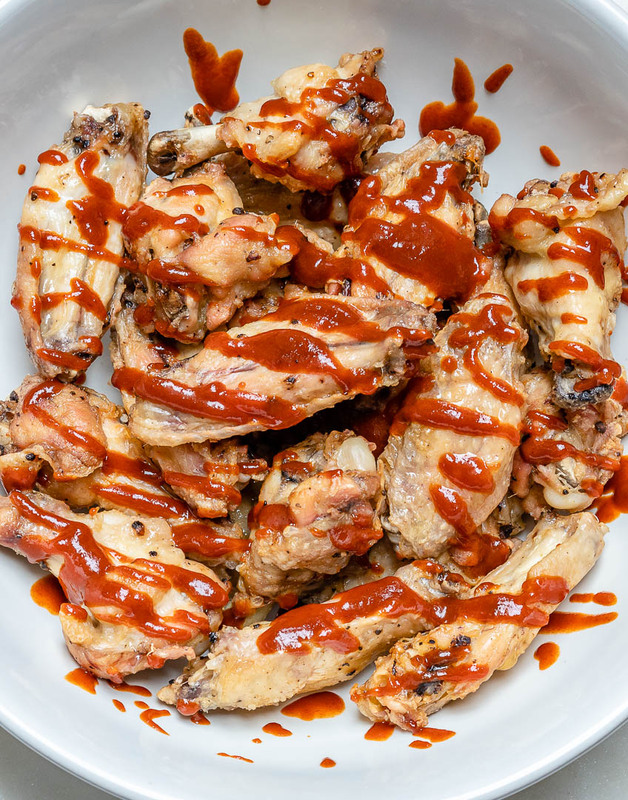 Once the chicken wings are cooked through to the middle and crispy on the outside, place them in a large bowl and drizzle with your sauce mixture. 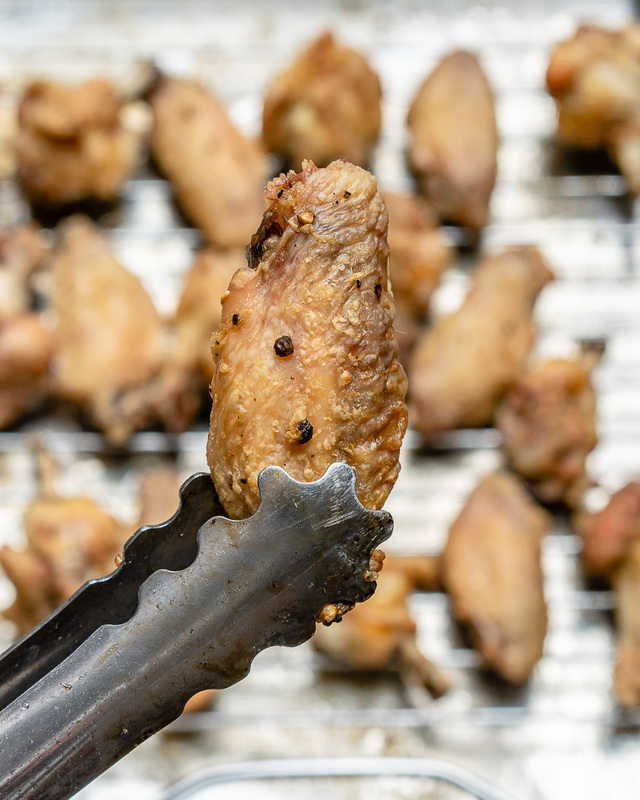 Gently, and carefully toss to coat (they are hot!). Serve with our serving ideas and toppings of choice. ENJOY!